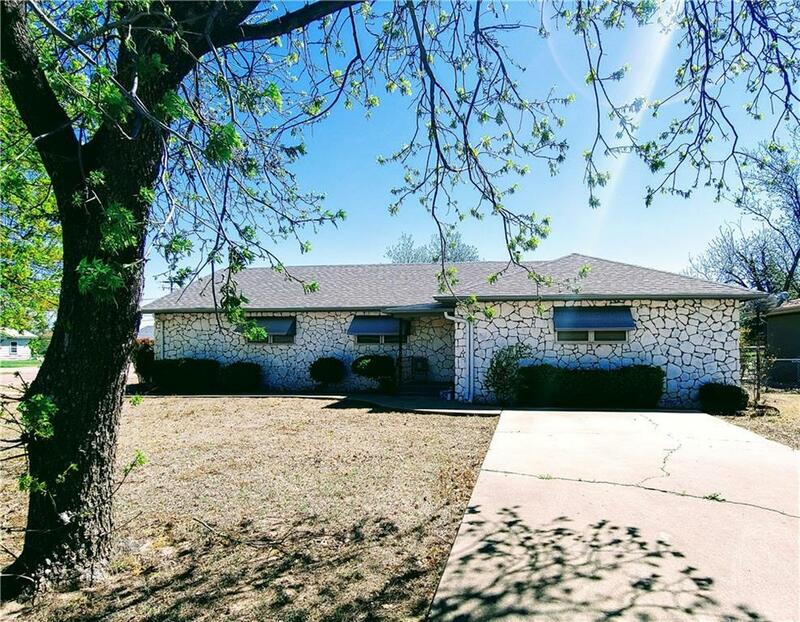 1402 A Street, Snyder, OK.| MLS# 857130 | CENTURY 21 Altus Prestige Realty, Inc. Welcome to 1402 A St. in the sweet town of Snyder, Oklahoma. The beautiful stone exterior opens to 1742 sq ft. of living space! This 2 bedroom, 2 full bathroom home is waiting for you to make it your own! The large living room has a nice built in area in the corner giving plenty of space for furniture. It flows into a formal dining room, also with built-ins on either side of the door. The master bedroom is off the dining space with a large walk in closet that has double racks and a built in shoe rack. This is a true master suite with a good sized full bathroom complete with itâs own hot water tank! Youâll never run out of hot water in the shower! The second bedroom is also a great size with a walk in closet, and the hall bathroom. The kitchen is long and spacious with a durable laminate flooring, ample cabinet space and built inâs for storage. The gate also opens to provide space for a car if needed. There are 2 sheds for more storage, and a 2 car covered carport!